Watson Farley & Williams LLP. Steven Hollander is a partner in the Corporate Group in the New York office of Watson Farley & Williams LLP. His practice focuses on corporate and securities transactions including private equity investments, joint ventures, securities offerings, mergers, acquisitions, regulatory filings, restructurings, other complex business transactions and general corporate matters. Steven represents companies regarding general corporate and securities matters, including relating to corporate formation and organization as well as capitalization and securities issuances, both public and private. Steven also drafts Securities and Exchange Commission and stock exchange filings and submissions, particularly relating to foreign private issuers. 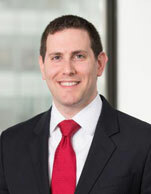 Steven is admitted to practice law in New York and New Jersey and has represented companies in their initial public offerings as well as other public and SEC-registration exempt securities offerings and represented sponsors, acquirors and targets in various M&A and private equity transactions. In addition, Steven advises and issues opinions relating to entities formed in the Marshall Islands and Liberia, including corporations, limited liability companies, limited partnerships and general partnerships. Steven is the author of numerous articles relating to mergers, acquisitions, securities law, Marshall Islands and Liberian law and disclosure requirements of public companies, and has taught a continuing legal education course in securities law.